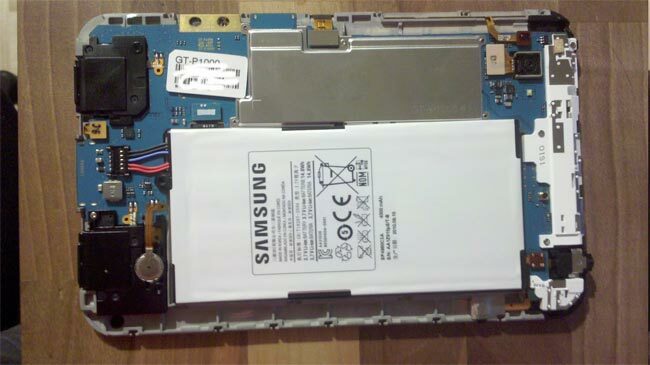 JKKMobile has just received his new Galaxy Tab and couldn’t resist taking his Galaxy Tab device apart. As you can see by the photo below a huge chunk of internal space is occupied by the battery. Watch the video of the dissection after the jump to hear JKK Mobiles thoughts on the device. In our earlier post today we covered the costing of the Galaxy Tab‘s parts a-culminating to $205 worth of technology.